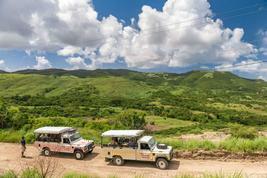 Get set for this two part adventure that will have you ziplining and kayaking through Antigua's natural ecosystems. 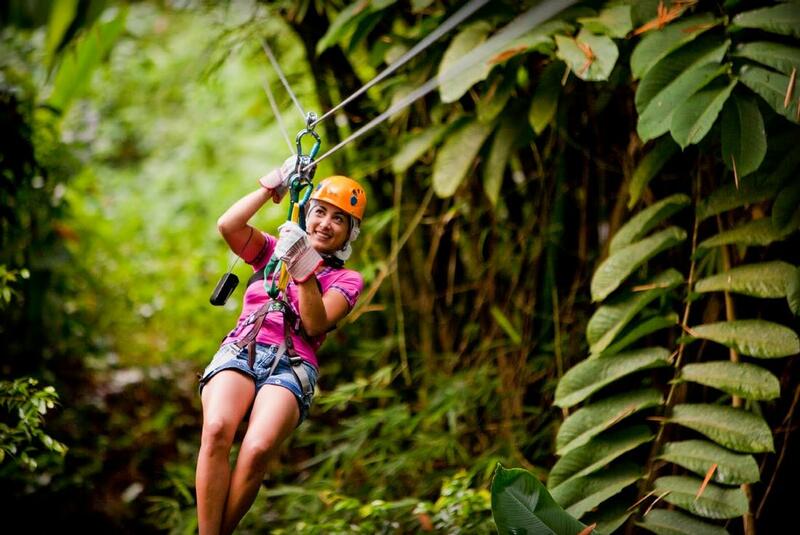 Your journey begins with a cross-island drive into the heart of Antigua's tropical rainforest as you make your way to the start of your zipline tour. After being welcomed with a complimentary fruit juice, get ready to soar through the rainforest on 8 breathtaking zip lines, some of which are up to 300ft. high! 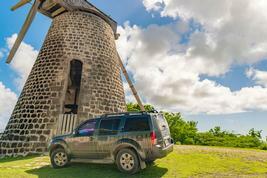 Reboard the 4x4 jeep and continue your journey along the island's stunning south-west coast to the kayaking base. Here you'll board a speedboat for a short ride through the North Sound Marine Park to the kayak boarding platform. Your Eco-Kayak adventure will take you through the mangroves where your guide will point out the local marine and eco-life. 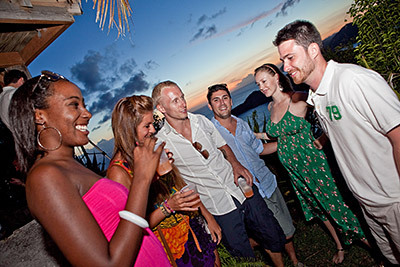 Finally you'll head to Great Bird Island for swimming, snorkeling and a delicious lunch.